BOB KRISTOF does Voice-overs in the broadcast industry. He tells about some different, interesting experiences he has had when he worked at various radio stations as an announcer and a disc jockey and also on TV. 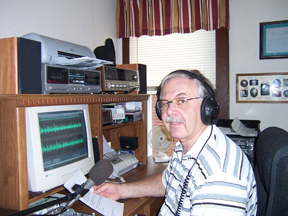 This entry was posted in Danna's Radio Diner Archive and tagged announcer, broadcast, Radio, TV, Voice over, WLOA. Bookmark the permalink.